Check out this stunning embroidery design which features a meticulously crafted purple heart! This needlework combines geometric and abstract patterns to make a single detail-rich picture which gets all eyes on it. The color palette is a beautiful mix of laurie lilac, mid lilac, aqua pearl and purple accent. 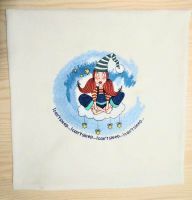 The embroidery design comes as a gorgeous addition to a variety of your things: towels, sweaters, hoodies, pajamas, blankets, quilts, cushions, bathrobes, purses, makeup bags and much more. 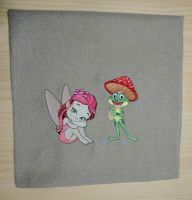 The application works nicely with all sorts of suitable fabrics. Adorable heart for my t-shirt! 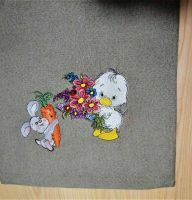 Embroidered it in several colors. Easy to use and looks wonderful. 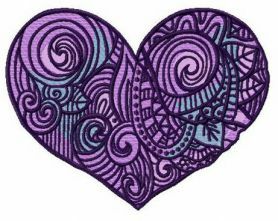 Great embroidery designs! I will buy from this seller again!